Difference between disbelievers and non believers. Muslim Villa > Forum > Category 6 > VARIOUS ISLAMIC ISSUES > Religious - > Difference between disbelievers and non believers. Another possubky real amateur question sorry. In light of the Quran is there a difference between a non believer and a disabled believer? Do they have the same level of negative connotation associated with their titles? I spose at one point I was a disbeliever too because I did have very ignorant biases about Islam and intentionally rejected it till Alhamdhulillah I was guided by the Almighty. My point being are we to leave guidance of disbelievers /aetheists /polytheists / etc to Allah's alone or are we supposed to spread the message to them very formally without befriending them? How are we meant to approach them if we don't actually have a rapport with them. Speaking from experience, I am an extremely aloof person and usually don't speak about Islam unless I am comfortable speaking to them. Are we better off just being blunt and straight to the point?? Jzk and salamun dear believer sisters and brothers. Re: Difference between disbelievers and non believers. Wa'salaam. Good question brother, not amateur. In light of the Quran is there a difference between a non believer and a disabled believer? Do they have the same level of negative connotation associated with their titles? I don't know what you mean by "disabled believer." Would appreciate if you explained that expression. I spose at one point I was a disbeliever too because I did have very ignorant biases about Islam and intentionally rejected it till Alhamdhulillah I was guided by the Almighty. Alhumdulilah. Past is past. It doesn't count in the Sight of Allah as long as one awakens and comes to the path of Truth with sincerity before leaving this world. So, never worry about that. My point being are we to leave guidance of disbelievers /aetheists /polytheists / etc to Allah's alone or are we supposed to spread the message to them very formally without befriending them? Well, the Noble Quran is there in the midst of all humanity and will stay until the Last Day. That's the promise of Allah. Even disbelievers who don't like the Quran must accept that the Quran is here to stay. As I had mentioned to you earlier, guidance comes only with the Will of Allah, depending on whom He considers worthy of it .. and one's worth comes from their own hard work, efforts & intent. Every person must make their own efforts to make themselves worthy of it, otherwise preaching to them would be a waste of time. In my opinion, guidance of a disbeliever would be a wise act for a believer IF that disbeliever (on his/her own free will) comes up and seeks help humbly about information on the Quran. Then yes, a believer must give them time and answer their questions and do whatever possible to help clear their minds of any misunderstandings or incorrect preconceived notions. How are we meant to approach them if we don't actually have a rapport with them. Having said that, in my opinion, leave the ball on their court. Let them initiate a rapport, and depending on the nature of their attitude, either help them to understand the religion of Allah or simply ignore them. It's also important to know that every disbeliever might not approach with the intent to learn. Some like to make contact to argue and fight. That's the reason we here at MV are very particular that we only take in the genuine ones who are truly interested in the Truth. Speaking from experience, I am an extremely aloof person and usually don't speak about Islam unless I am comfortable speaking to them. Are we better off just being blunt and straight to the point?? lol, you got the words out of my mouth brother. I'm exactly the same .. and that's okay. First off, you'll always observe that being a follower of Quran-alone makes one a bit isolated. The reason is simple. Our mainstream brethren aren't Quran-alone. Secondly, like I said, it's pointless talking to non-believers / disbelievers about the Truth if they have a completely different bent of mind. I have certain relatives and family friends who are very secular minded .. or .... some who are the type that do consider themselves embedded in Islam but they are actually very ritualistic followers of Islam who separate Faith from life. It's pointless trying to guide such folks unless they awaken first to initiate the process of making themselves worthy of His guidance. Lol Salaam sis Z not "disabled believer" sorry but is there a fundamental difference between non believers and disbelievers. Does Allah treat them the same because as I understand the difference, disbelievers reject the message and non believers haven't got the message yet. If this is true , how does Allah treat the two groups?? The Glorious Quran has been around since that many centuries. Still if anyone in any part of the world claims that they haven't got the Message, it should make all of us wonder whether they do really have the brain of a human being or some other strange critter? So, "dis-believers" and "non-believers." Are these prefixes really not interchangeable? Rationally is there really a difference or is it a trick of modernist groups to play with prefixes and thus find an excuse to discard Faith? About a year or so ago, an Arab sheikh named Hasan al-Malki said "atheists can also go to Paradise" .... referring to those who "haven't heard or known of the Message." He then gave an fictional example of a buddhist village-woman living in Sri Lanka and working on a field who knows nothing about the Muslim Faith. According to the Sheikh, she can go to Paradise. However, just a few days prior to his silly lecture, there was a news column that buddhist fanaticism of killing the Muslim minority had spread from apartheid Burma to Sri Lanka where even farmers in remote villages were hunting down Sri Lankan Muslim minority with machetes. When this question was put to the sheikh's fan who had uploaded his video on youtube, he had no answers except anger. Let's face it, there is no meaningful difference between "disbeliever" and "non-believer" particularly now with the presence of the Quran since the past 14 centuries. If one merely wants to argue and justify lack of belief in the garb of intellectual logic by juggling with prefixes then that's a different matter. I don't think any true believer in their right mind would be interested nor would they have that much time to waste. so am I right to assume that either someone is a believer\muslim or non believer\kufr and there is nothing in between. It is probably a waste of time for me you are right but as I am a revert I have a large part of a non muslim family that I have concern for and I am simply trying to understand how Allah deals with them in light of the quran that's all. salaam all just to add to the above discussion, would it be fair to say our job is just to point non believers to the quran and then leave the guidance to Allah ?? does the quran tell us to go and out spread the word I.e for example what zakir naik is doing. Or is the responsibility left upto the non believer to make his oh her own effort to seek knowledge and clear evidence before they die in a state of kufr?? I guess what I'm trying to say is it our responsibility to deliver the message to the non believer or will Allah hold me responsible or complicit in someone's state of kufr OR does the responsibility lie solely with the kaffir to seek his on path albeit with the guidance of Allah as only Allah can guide as per the quran. how is one to interpret "preferred disbelief over belief" if one does not know what it is to believe ? how is one supposed to prefer one over the other option if they do not know what both options are? am I totally mis interpreting this verse? would it be fair to say our job is just to point non believers to the quran and then leave the guidance to Allah ?? Exactly brother. That's as far as any believer can go and is expected to go; and that's the only bit Allah expects from us. You will notice that there are scores of Verses in the Noble Quran that tell the Prophet (pbuh) and the community at large that the Prophet's responsibility is only to convey the Message and nothing else. After that, it's up to every individual to come forward and seek guidance. That was during the time of the Prophet when the Message of Allah was in the process of coming to humanity. Now it has come in its entirety. It has also been compiled into the form of a complete Book. It has also been translated into scores of different languages. In English itself it has been translated by dozens of translators. Allah has also promised that the Noble Quran is in a "Guarded Tablet" or "Lawh-Mahfooz" which means it will remain intact until the Final Day as a Witness against its repudiators for rejecting Guidance. Henceforth, it's 100% the responsibility of a non-believer or disbeliever (whatever one calls them) to come forth if they want to seek guidance or even just to know what the Message contains. Whether one lives an urban life or rural life makes no difference. The presence of The Final Message prevails everywhere. They all know about it. The question is the quality of their hearts. Yes, there are some cases where non-believers have grasped the guidance by reaching out to Allah's Message but they are scared to officially reverting as they fear persecution or discrimination from the society of the majority. That is a separate issue and as for such ones, Allah only sees their hearts. If they have belief of the One Allah and His Laws in their hearts, it means they can have big hopes for acquiring forgiveness. am I right to assume that either someone is a believer\muslim or non believer\kufr and there is nothing in between. It is probably a waste of time for me you are right but as I am a revert I have a large part of a non muslim family that I have concern for and I am simply trying to understand how Allah deals with them in light of the quran that's all. Well, first let me tell you brother .... even among the family and friends of those who aren't reverts but born in Muslim families, there are any number of people who are either not believers or simply ritualistic Muslims which is pretty useless. Having the official title of "Muslim" on paper only because they were born in Muslim families or are "Muslims" by descent is not what Allah sees. Allah does not go by labels or protocols or formalities. Allah sees what lies in one's heart. That's all. Therefore, many born Muslims also face the same situation. Just stamping the official label of "Muslim" doesn't necessarily make one a true believer / submitter in the Sight of Allah. Secondly, yes, you're absolutely right to assume that there's nothing in between a believer and kaffir .... unless a kaffir is dithering about his/her disbelief with a hunch that it's wrong and making moves to reach out or at least get to know Allah's Message. That process would be seen by Allah as a test for that person; and eventually their status in the Sight of Allah will depend on what that person decides for themselves. does the quran tell us to go and out spread the word I.e for example what zakir naik is doing. To some extent that was only the responsibility of Prophet Muhammed (pbuh) and all his predecessors (peach on them all). That too only to some extent, in that, to simply inform the community what has been revealed by the Divine Power ... to convey the contents of the Message which contains the Laws of the right Religion as well as Laws for practical life. After that, whoever wants to come forward, study, reflect and make efforts to grasp Guidance, it will be beneficial for their own souls. Those who ignore or make light of it, will only be responsible for their own souls. 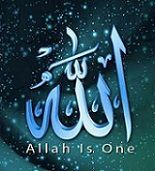 One of the big beauties of Islam is that Allah makes it ample clear in the Quran that each one of us will have to answer to Allah only for ourselves. Our responsibility is only our own souls .... unless someone is purposely misguiding others and succeeding in their wrong doing, then of course they will also carry the burden of their intentional misguidance in the Hereafter. But that's another issue. "He who groweth (in goodness), groweth only for himself, (he cannot by his merit redeem others). Unto Allah is the journeying." 35:18. "And as for those who choose protecting friends beside Him, Allah is Warden over them, and thou art in no wise a guardian over them." 42:6. "thou art" refers to the Prophet (pbuh) but would also apply to us today while interacting with non or disbelievers. There are many other Verses that clearly tell the Prophet (pbuh) that it's NOT his responsibility to guide anyone. Informing someone of the Message and guiding them are two very different aspects. While we can tell our fellow human beings that the Guidance exists in the Book and it's totally worthwhile to come to it, we cannot inject the guidance within their minds and hearts. That can come only from Allah depending on how He assesses the quality of their hearts & minds and the extent/sincerity of their efforts. is the responsibility left upto the non believer to make his oh her own effort to seek knowledge and clear evidence before they die in a state of kufr?? Absolutely ..... not a shadow of a doubt about that. what I'm trying to say is it our responsibility to deliver the message to the non believer or will Allah hold me responsible or complicit in someone's state of kufr OR does the responsibility lie solely with the kaffir to seek his on path albeit with the guidance of Allah as only Allah can guide as per the quran. As already clarified above, the responsibility is entirely theirs. You are not one bit responsible for them. You can only speak of why you have opted to choose the Truth; and if anyone wants any facts or asks any questions for information, then you should provide them with whatever details you can. That's about all. You are not expected to knock on anyone's door as a preacher. Often that may be viewed by them as you being too pushy and they may drift even farther from the right road. Yeah brother, I think you're misinterpreting V.9:23. The Verse doesn't say that nor hint upon it. "Preferred disbelief over belief" (with the existence of the Quran in the world) can only come from the hearts of the disbelievers. I think brother NTS has articulated this aspect at length already. If a disbeliever or non-believer does not know what Monotheistic belief means, then ask yourself why is it so? There's no one in the world who doesn't know that there is a Book read by followers of Monotheism called the Quran. But without even reading it, if they cast aspersions. Or if they read it, they read with a challenging or jesting spirit. Or they're much too lethargic or egoistic or their hearts much too superficial & preoccupied to read and reflect upon it humbly. Honestly, what single reason can one pick for all such mindsets? To cut a long story short, I think it's because they prefer their status quo. It's not that they don't know the two options exist. They feel their status quo is the best option and the option of belief seems too cumbersome and inconvenient and thus unnecessary. If they expect to know the other option, the option of Guidance, from a distance without even bothering to reach out, that means they haven't realized either that there aren't any shortcuts to guidance with Allah and that the system of justice with Allah is flawless. One works hard, they get their reward. If they're happy with their present state of ignorance yet convinced that it's the right road, they remain laggards and only they are answerable for it. Guidance doesn't come to anyone on a silver platter. Everyone must initiate the process themselves. As simple as that. Don't bother about Zakir Naik and his likes. The quantum of rubbish they often talk is astounding. Of course they do say certain things that are right but like we always emphasize, one needs to be very, very discerning while listening to or reading their views. And be very careful not to get swept away by their sectarian spirit which most of them carry and try to instill into others. Okay, let me explain this as best as i can. This Verse 9:23 expresses that Monotheistic Belief is so important for your soul that even if those as close as your parents and siblings are disbelievers/non-believers, you need to make sure you don't get influenced by their ideas of disbelief. It does not mean you should stop meeting them. Biological relationships and particularly respect & love for parents have been emphasized greatly in the Quran. However, if one's loved ones are disbelievers, in that case, though you need to continue being respectful and helping them as much as you can with the ups & downs of daily life, .. at the same time you also need to keep in mind that they don't interfere with your Faith through their discussions, talks or any practical plans. For the same reason, it's also important to be mindful while spending time with friends who are disbelievers or secularists. You don't need to stop meeting them .. unless you find their company too bumptious or cynical to cope with .. but they're expected to respect your values just as you respect theirs. Since being a Muslim means following a particular code of life, you need to be cognizant of that fact while spending time with disbelieving /non believing / secular friends or family .... that while it's your duty to be respectful & polite, you have the right to keep away from those of their practices that do not conform with your Faith or are prohibited. This is basically what V.9:23 conveys. Furthermore, this Verse also has a direct connotation to the religious/political situation of Makkah during the period of the Prophet's (pbuh) immigration to Medinah. There were families where the son or daughter who had accepted Islam wanted to go to Medinah but the parents or other siblings didn't. Or one of the spouses accepted the Message while the other spouse didn't .. and so on. This Verse is an instruction to all those folks stuck in such situations. Keep in mind that certain similar Verses of the Quran as 9:23 also directly refer to the circumstances of the era. When the Message of Islam (Submission to the One God only) began to spread in Makkah, a chain of upheavel was unleashed by the opponents of Monotheism. First they rejected Monotheism. Second, it became a political issue - the power of the Hashmite tribe over the Ommayas. Third, the idolaters of Makkah made it an economic issue claiming that if the idols were removed from the Kaa'ba, the trade of Makkah would suffer as those from nearby countries would seek trade from other lands. Fourth, many rich or well-to-do families or those with political clout were averse to migrating to Mediah as that meant giving up much of their wealth, luxury or power that were based in Makkah. Thus, as you read Quranic Verses, keep this situation in mind alongside the rules of ethics that still apply while in the company of disbelieving people who don't know anything about the Quran.